Dedicated to St Rumon, of whom nothing is known apart from his name, Rumon is recorded in a tenth-century list of saints. There is a later tradition that Ruan Lanihorne was the centre of his cult until his bones (except his head) were removed to Tavistock Abbey sometime in the tenth century. Ruan celebrates its patronal festival every year on the last Sunday in August. 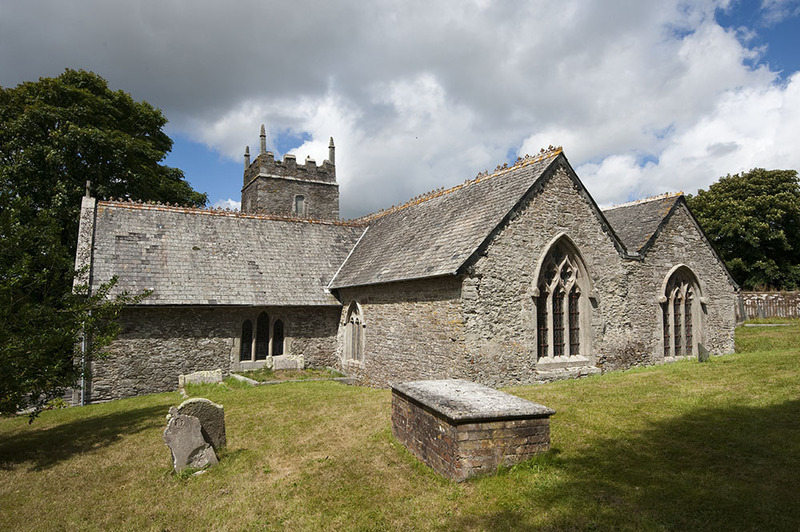 According to Henderson (Cornish Church Guide) the name of the parish may derive from Lan Ruan, the church of Rumon. Originally just a nave and aisle, the south wall next to the porch may be Norman. The church went through a cruciform phase in the late thirteenth or fourteenth-century and a north aisle was added c.1500. The chief family here were the Archdeacons or Lercedeknes whose castle once dominated the river here and who were patrons of the church. The granite arcade of six bays has typical decorated Cornish-style clumped capitals. 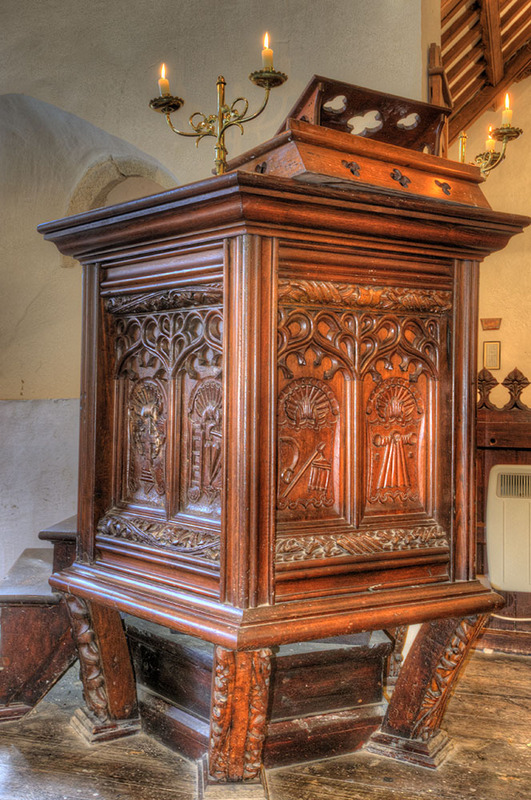 The font is Norman in style but may be later, its cover and the altar are made from fragments of roof carving and bosses.A small fragment of rood screen of St Ewe type with carved figures, survives. 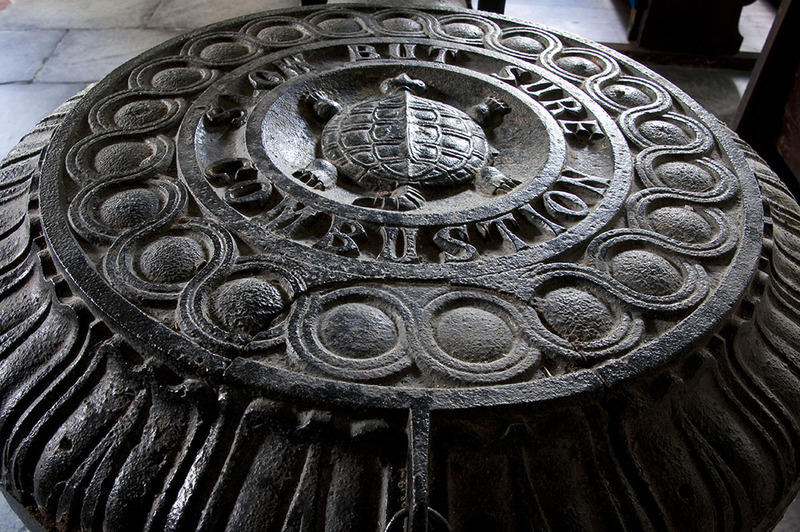 Sixteenth-century bench-ends with symbols of the Passion have been used to make the pulpit. 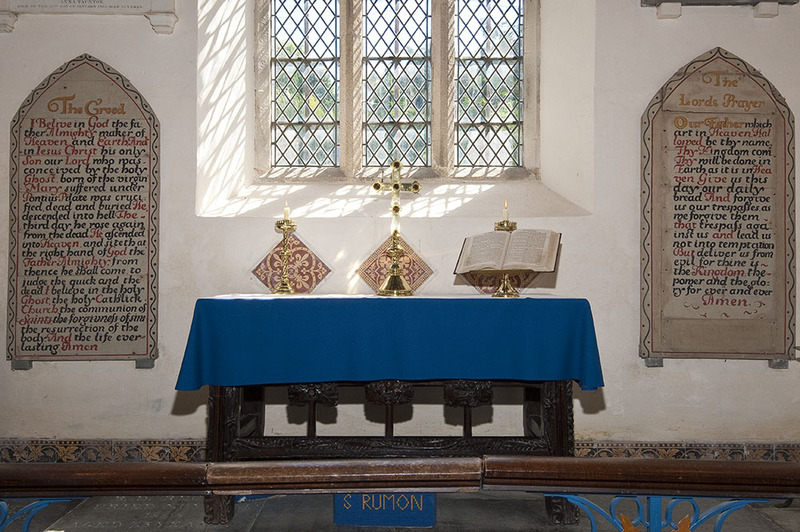 On the south side of the chancel are sedilia or seats, for priest, deacon and sub-deacon. The south transept was restored in the seventeenth century following a storm (the date 1669 is carved over the porch) and the tower with two bells may be of this date, too. A bell of 1788 commemorates the rector, Revd John Whitaker who wrote The Ancient Cathedral of Cornwall. 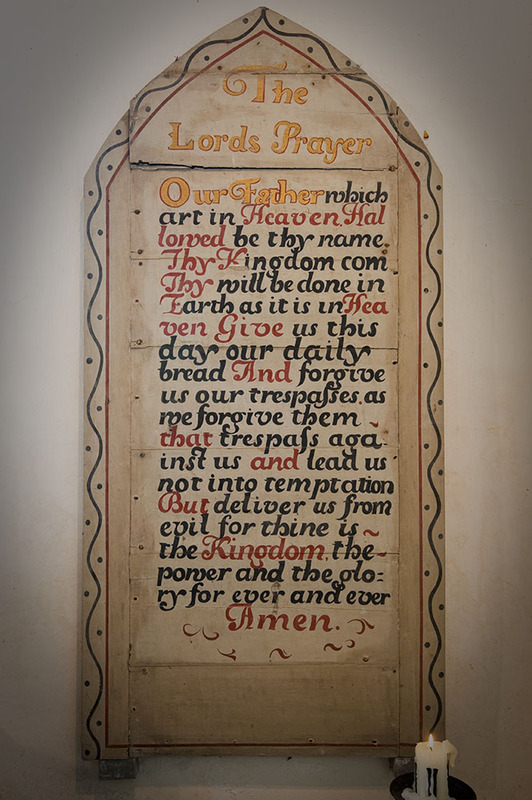 The church was substantially restored in 1866 by Edmund Sedding; currently the congregation is raising funds to restore the Victorian stained glass windows. 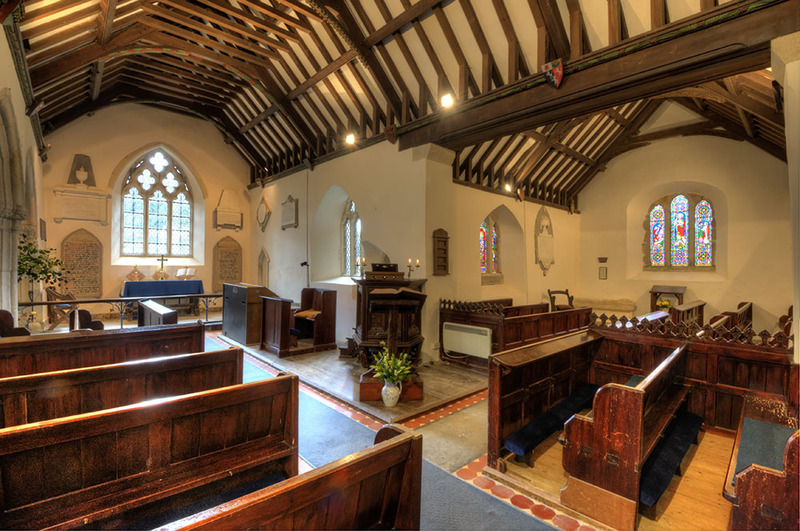 Twentieth century additions include a slate War memorial and another to Revd Hyde in 1936, electric light in 1949, roof repairs in 1993 and the tower arch screen and other works in 1997. 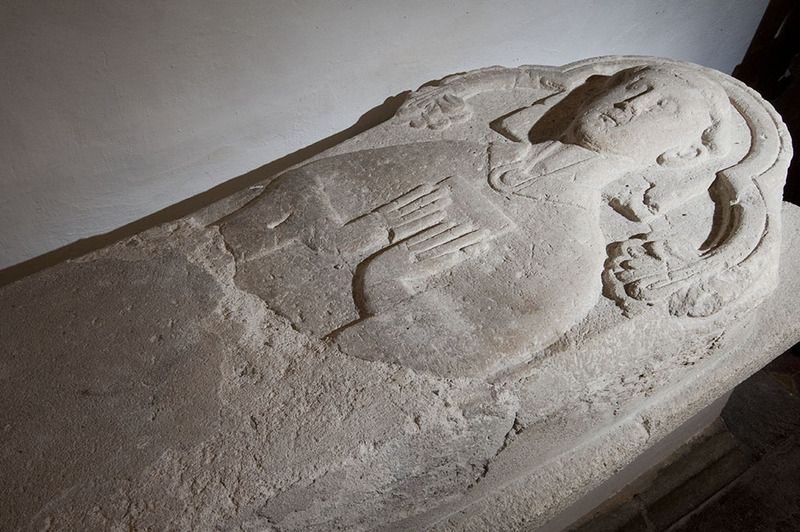 • a thirteenth-century tomb in the south transept which may commemorate a priestly member of the Archdeacon family or perhaps St Rumon himself. 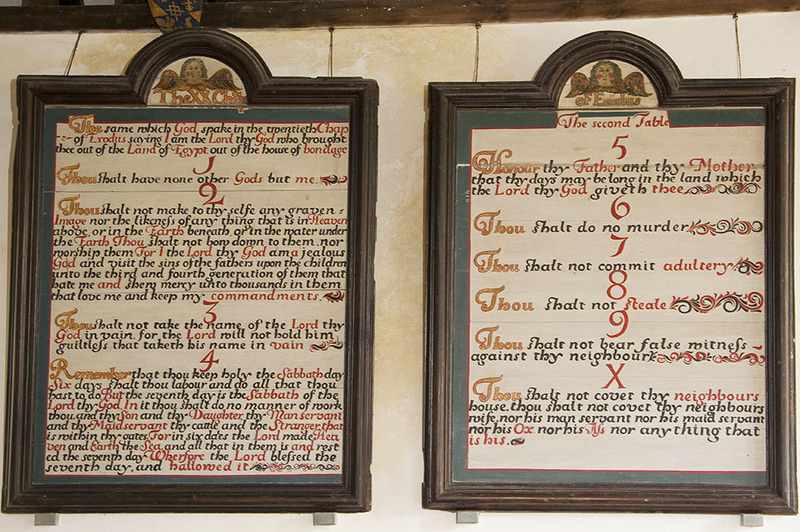 • the Commandments, Creed and Lord’s Prayer, painted on board, probably early nineteenth-century. • Victorian shields at wall-plate level depicting the arms of Oxford and Cambridge colleges. 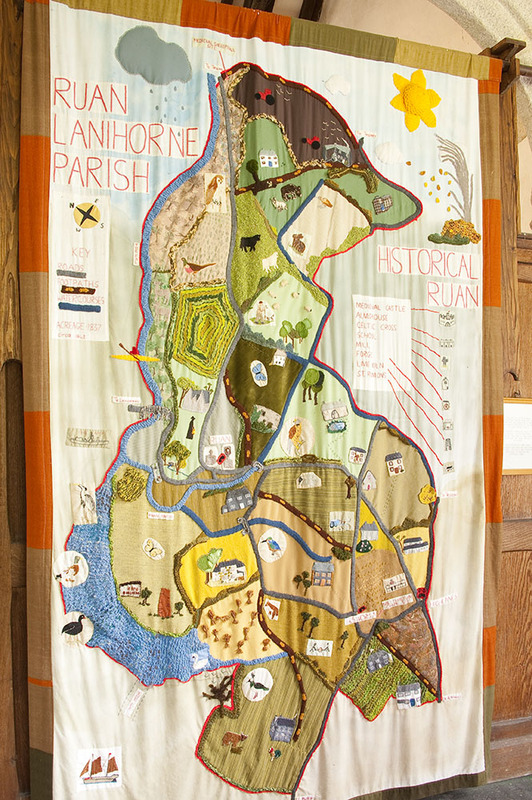 • The stitch work map of the parish sewn in the 1990s using embroidery, crochet and knitting. • The magnificent Victorian cast-iron stove. 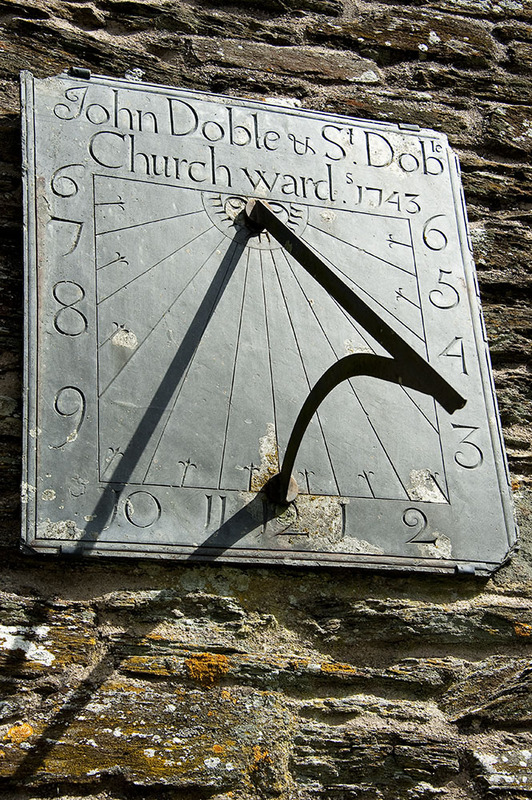 • The fine sundial dated 1743 with the churchwardens’ names, John and S Doble. 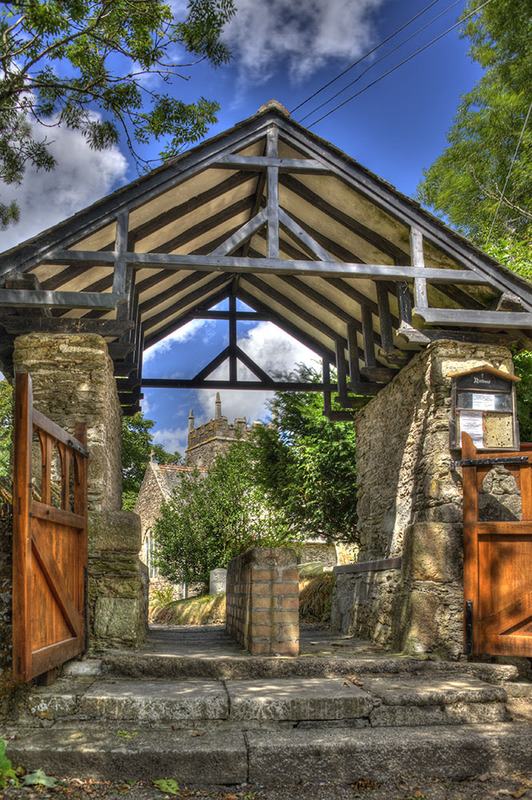 • The lychgate, coffin rest and cattle stile. • Evidence of the spiral staircase to the rood loft. Opposite the northern boundary of the churchyard in a nearby field are the remains of the well of St Rumon from which water flows on to the road below.